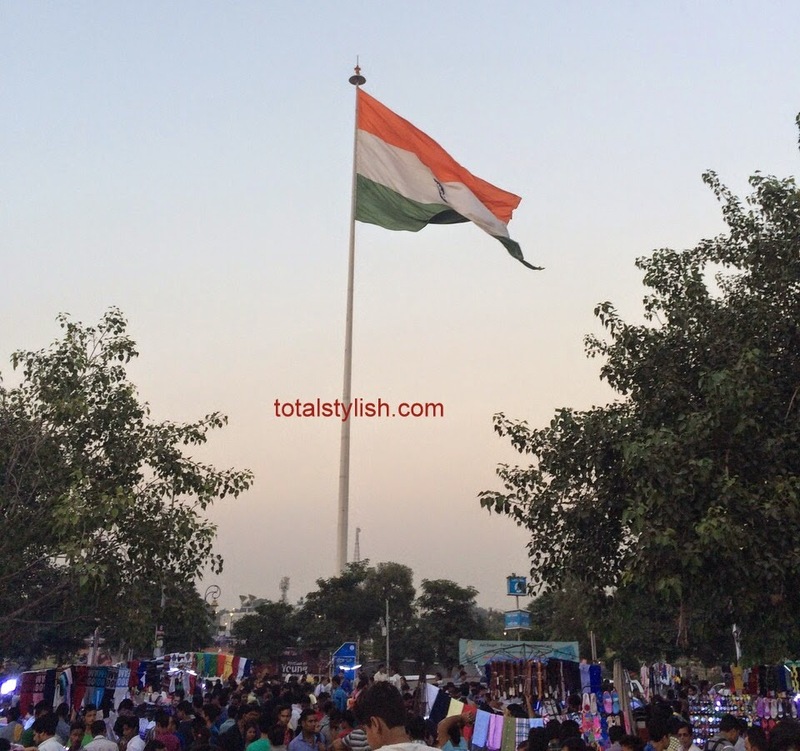 Delhi, the capital state of India, is most commonly known for its power and a powerful people. No...No... I am not saying this because it’s a capital state of India neither because it consists of parliament nor because of government and big political bodies resides here. It’s because it is filled with all large hearted and daring people. It’s a saying in Hindi “Dilwalon ki Dillii” which resembles the kindness of Delhi-ites. One thing that I found common in all Delhi people is that they all are very proud to be Delhi-ites, well why shouldn’t be as they belong such a precious state. The name Delhi is said to be kept on the name of king Dhillu, who built city at this location in BC 50. However, it is also been assumed that there are many other legends also who are connected for invention of this name. Delhi is partitioned into two parts consisting of Old Delhi and New Delhi. In Old Delhi, you will find all the historic monuments and mosques which depict our Indian history. Whereas, in New Delhi, which was designed by Edwin Lutyens and Herbert Baker giving it a look of modern city, you will find all the residential and government building in addition to historic places. Delhi is considered to be the most historic place in the world where you will get too many places to see and explore. Hence, from my personal experience, I thought to help you out with the few best places in Delhi which you will enjoy to watch. India Gate – The greatest and the most respected place in Delhi to see is India gate. It was built in the memory of the Indian soldiers who gave their life in Afghan wars and World War I. Hence, In order to honour them, the names of all these soldiers who died in these wars are craved on the walls of India gate. Each side of the cenotaph is craved with the words “Amar Jawan” (Immortal Warrior) in gold. Red Fort – Red Fort is a first fort of Delhi built by Emperor Shah Jahan. The great Shah Jahan decided to build Red fort in the year 1639 as he wanted to shift his capital from Agra. The Red fort was completely built in the span of eight years, consisting of big huge red sandstone in its architectural design. The Flag of India is hoisted on every Independence Day of India by the prime minister. Qutub Minar – The other great historic architecture you can explore is Qutub Minar. It is a huge tower built with red sandstone. It has the height of 72.5 meters and has elaborate cravings from Quran. It was constructed by Qutub-ud-din Aibak, Iltutmish and Ferozshah Tughlaq. It said to be the first monument constructed by a Muslim ruler in India with an Indo-Islamic style of architecture. Chandni Chowk – If you love shopping and is a completely shopaholic person then you must see Chandni Chowk. Chandni chowk is the largest and famous wholesale market place in Delhi. You can enjoy doing shopping here and also get some good gifts for your mates from here. Chandni chowk was introduced by Emperor Shah Jahan for his daughter as her shopping place to get all the things which she wanted to buy. Akshardham – If you’re a devotional kind of person then you must visit Akshardham Temple which the largest Hindu temple in the world. Akshardham was constructed in the year of 2005. It is a 100 acre spread land. You will get to see elaborated craved monuments here. In addition to this, you will also find some leisure places such as garden, musical fountain, an IMAX theatre, and a food court to satisfy your hunger. Bahai Temple (Lotus Temple) - Bahai Temple also known to be the Lotus Temple is an exceptionally wonderful beautiful architecture. It is constructed by the Bahai House of Worship community which is situated in South Delhi. The structure of Lotus Temple looks completely like a white lotus. Well, these are the few places in Delhi from my personal travel dairy which you can go and explore. And trust me you will definitely get the experience of whole sightseeing, shopping, understanding history and a fun time together at one time.